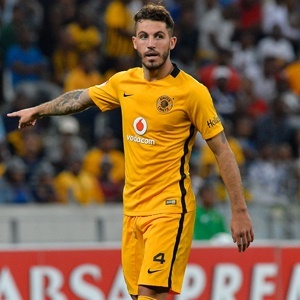 Cape Town - Kaizer Chiefs defender Daniel Cardoso is optimistic he and other Amakhosi stars can cement a place in the Bafana Bafana squad for the 2019 Africa Cup of Nations tournament. Cardoso was in the squad that qualified for the AFCON by defeating Libya although he did not see game-time for the Stuart Baxter-coached national team. He said: "It's good being part of the [Bafana] setup again, but obviously my place is not cemented there. "I've still got quite a while and a few games in which I've just got to be consistent, and hopefully I'll be back and called-up to the AFCON side. "I'm sure there are a lot of players wanting to be part of the squad for the tournament, and we [Chiefs] also have a lot of good players in our team that can be there. "If we can keep consistency with the team going forward and we all work together, I mean, we have more than enough internationals in our team. "We've got 'Rama' [Mphahlele], 'Itu' [Khune], unfortunately he's injured, Lebo [Manyama], hopefully he can get back to fitness because I think he's a great player, 'Tight' [Molangoane], he's almost back, he's training with the team. So, it's a bit of motivation for them as well as myself." The draw for the competition is set to take place on Friday, 12 April in Cairo with the tournament taking place during June and July in Egypt.